The geographical area assigned to Tehran ICH Centre includes 24 countries. 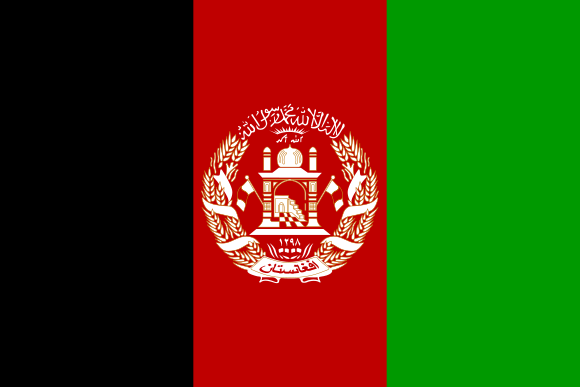 These countries in alphabetic order are: Afghanistan, Armenia, Azerbaijan, Bahrain, Georgia, Iran, Iraq, Jordan, Kazakhstan, Kuwait, the Kyrgyz Republic, Lebanon, Oman, Pakistan, Palestine, Qatar, Saudi Arabia, Syria, Tajikistan, Turkey, Turkmenistan, the United Arab Emirates, Uzbekistan, and Yemen. In alignment with the abovementioned goals and to attract various demographics, especially the youth, to the concept of ICH, and its expressions and manifestations, Tehran ICH Centre held its first international photography competition with the subject of “Intangible Cultural Heritage in its Context”. The “Intangible Cultural Heritage” (ICH) means the practices, representations, expressions, knowledge, skills – as well as the instruments, objects, artefacts and associated cultural spaces that communities, groups and, in some cases, individuals recognise as part of their cultural heritage. This Intangible Cultural Heritage, while being transmitted from generation to generation, is constantly recreated by communities and groups in response to their environment, their interaction with nature and their history, and provides them with a sense of identity and continuity, thus promoting respect for cultural diversity and human creativity. – be loyal to the principles of sustainable development. A- Oral traditions and expressions: songs, nursery rhymes, lullabies, storytelling, word games, work songs, etc. B- Performing arts: music, calligraphy, dance, puppet shows, traditional theatre, etc. C- Social practices, rituals and festive events: festivals, mourning ceremonies, gatherings, games, etc. E- Traditional craftsmanship: traditional knowledge and skills of pottery-making, textilemaking, woodwork, metalwork, jewellery-making, restoration, painting, etc. In 2017 Tehran ICH Centre held its first international photography competition, titled “ICH in the Context” in Tehran. In the first round of the competition, 12 countries – Iran, Tajikistan, Armenia, South Korea, India, France, Kyrgyzstan, Kazakhstan, Uzbekistan, Turkey, Pakistan, and Afghanistan – participated. After its initial evaluation, the referee panel put forward 403 photographs related to the subject of the competition to the Secretariat. After a specialised assessment, 55 of the works were chosen for the final stage of the competition and the exhibition. Finally, the referee panel recognised three works as the final competition winners who also received a cash prize. The referee panel recognised five works as deserving a certificate of appreciation. Tehran ICH Centre will be holding its second international photography completion titled “Intangible Cultural Heritage and the Youth”. It can be said that as future generations of bearers and practitioners of intangible cultural heritage elements, the role of the youth in the viability of intangible cultural heritage is such that the survival of the intangible cultural heritage is dependent on it blending with the daily lives of the youth. To accomplish this, the efforts of the present generation, in transferring intangible cultural heritage to the next generations and creating a sense of belonging to the heritage in young people are essential. This issue becomes more important, given that the youth are victims of the wave of cultural homogenization at the national, regional, and global levels the in the modern world. Therefore, by organising this competition, Tehran ICH Centre intends to attract the attention of the people, especially the youth, to the examples and manifestations of the intangible cultural heritage as well as encouraging them to protect and safeguard their cultural heritage. Youth receive the intangible cultural heritage from their previous generation and transfer them to their next generations. As stated on the website of UNESCO, regarding the “transfer” of intangible heritage: “Safeguarding ICH means ensuring its viability among today’s generations and its continued transmission to the generations of tomorrow. Communities and groups of practitioners and other tradition bearers everywhere in the world have developed their own systems for transmitting their knowledge and skills, which unfortunately, depended on oral methods rather than written texts”.1 On the other hand, some experts claim, none of the manifestations of intangible heritage, even if repeated, are identical, and clear signs of variety, colourfulness, and recreation can be seen in them. One of the most prominent examples of such manifestations is the holding of national or regional celebrations in which the diversity of customs is evident both in geographical and intergenerational levels. Moreover, Articles 14 and 15 of the 2003 Convention are clear on the above. To meet its goals and duties, and to demonstrate diversity, colouration, and recreation of intangible cultural heritage, and most importantly the transfer of cultural heritage to next generations, Tehran ICH Centre aims to dedicate its second international photography competition to the subject of “Intangible Cultural Heritage and the Youth”. The works should contain at least one of the following: ? Showcasing the presence and participation of young people in intangible cultural heritage manifestations; ? Showcasing the transfer of the cultural heritage element to the next generation; ? Showcasing diversity in the implementation or performance or expression of an element of cultural heritage among generations; ? Showcasing the participation of girls and women. 5- To identify and emphasise the great role and the importance of photography in the safeguarding of ICH. – It is free for anyone who is interested in photography, whether professional or amateur. – There no age limitations for the competition. – The Secretariat does not put any limitation regarding photography tools. – Size of sent works should be in the range of 500 kb up to 2 Mb in JPEG format. To display the selected works at the final exhibition, participants need to send their selected photos with the highest quality to Secretariat. – Participants need to provide Secretariat with the explanation about the subject of their works, as well as the time and place. – The sent photos must comply with the regulations of the Islamic Republic of Iran and social norms. – Any change that affects the genuineness of the photos in anyway results in removal from the competition. – Evaluation in this competition will be done on every single photo. – The referee panel will judge the photo subjects in addition to the technique. – Insertion of any signs, signatures, watermarks, dates, logos etc. results in the removal of works from the competition. – Participants should keep the raw files of sent works so that they can be sent to the Secretariat if needed. – The participants can only send their entries to the Secretariat, accompanied with their complete details, using ich_youth@tichct.ir. – The Secretariat recognises the sender of the photos as the owner, and the Secretariat has no responsibility for any third-party claim. – The Secretariat, while observing the copy rights of the owners, is permitted to use the sent works according to its discretion. – Women, children and young people are especially encouraged to participate. – Sending the works and participation in the competition is considered the acceptance of all the competition regulations including the Secretariat decisions in force majeure matters. – Applicants have to send their competition entries to Afghanfolklore1@gmail.com and ich_youth@tichct.ir, by end of January. – The works accepted in the stage one of the competition will be in the coming month. – Final winners will be announced by early March, and the awards ceremony will be held with prior notice.